General Growth Property malls across the country are partnering with DonorsChoose.org for its Celebrate Schools! cause marketing initiative. More than 120 GGP malls kick off its DonorsChoose.org partnership in early September with a matching donation drive. GGP will donate $300,000 to match funds donated by shoppers. In October, centers nationwide will host Celebrate Schools! with various in-mall charitable events to help raise funds and awareness for schools including student performances, fashion shows, coupon book sales, spelling bees, cheer contests and science fairs. 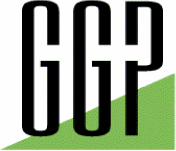 In addition GGP is giving away $20,000 to one U.S. school that will be nominated by a mall’s Club member. With back-to-school shopping on the brain, what better place for an education-focused charity to be than the mall? This campaign provides prime visibility for DonorsChoose.org as schools get back into swing. Malls benefit by bringing a much-needed local tie to their properties. We love that consumers are encouraged to get involved by opening their wallets in a location where they already expect to be dropping more than a few dollars. The matching aspect incentivizes them even further. How do you put a donorschoose project in the running for funding? Thank you for helping schools.